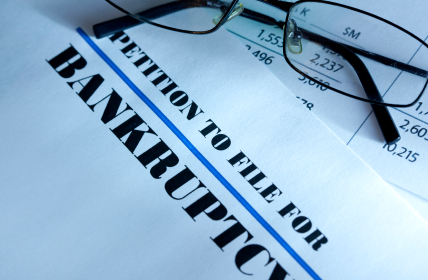 If you are considering filing bankruptcy, we know that you will have many questions. To find out if you will be able to keep your vehicle, your house, your wages, and your personal belongings, call our competent, friendly staff today. The process with Cascade Bankruptcy begins with a phone call. We understand that every case is unique, so we ask tailored questions to determine your eligibility for either Chapter 7 or Chapter 13. At your initial consultation, we spend the majority of the hour with you one on one determining what issues will arise in your case, explaining the process and answering your questions. Each consultation lasts approximately 1 hour. During this hour, we ask questions about your income and expenses in order to determine your eligibility for bankruptcy. We will also discuss your assets so that we can advise you regarding the protections bankruptcy law provides. Finally, we will discuss your recent financial history to better protect you during the course of the proceeding. All this information helps us to guide you through a bankruptcy case and to answer your questions. After the consultation, you will have the opportunity to retain our law firm and begin planning your case. This will allow you to begin referring your creditors to our office to get immediate relief from harassing phone calls. We will provide a list of documents necessary to analyze and prepare the paperwork that will be filed with the court. We will also discuss payment options, including payment plans. Once the pre-filing fees have been paid, we schedule a short, in-person appointment to collect your documents and discuss any updates to your financial circumstances. Within approximately one week of receiving your documents, we schedule a final meeting to review the bankruptcy documents before signing and filing them with the court. Go to Chapter 7 or Chapter 13 to find out more about each of these types of cases. If you would like to speak directly with one of our bankruptcy lawyers in Portland, Salem, Eugene or Albany, please call between 9:00 AM and 5:00 PM Monday through Friday. Go to our locations page to find our office location nearest you.